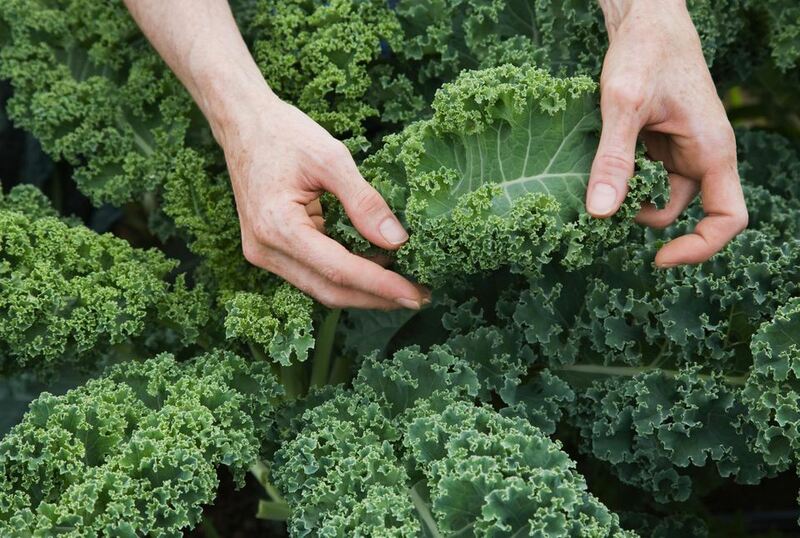 What Is Kale and How Is It Prepared? Kale is a dark green, leafy vegetable that is part of the cabbage family. In addition to dark green, kale is also available in a variety of other colors such as purple, white, and even pink. Although part of the cabbage family, kale does not grow in a tightly bound head, on long, fibrous stalks that cascade out from the center of a bunch. This easy to grow vegetable can withstand cold temperatures and is therefore grown in many climates. Prior to the middle ages, kale was one of the most commonly grown vegetables in Europe. Kale is still a common vegetable throughout Europe today, as well as other areas of the world such as Africa, South America, and Asia. Kale has been gaining popularity in the United States among health enthusiasts because of its high fiber, vitamin, and mineral content. Kale can be eaten raw or cooked. Some varieties of kale can be quite fibrous when raw so many people prefer to eat this green cooked. Whether raw or cooked, the stiff, slightly woody stem should be removed before consuming. Raw kale is often added to salads and may utilize an oil-based dressing to help soften the ridged leaves. Raw kale has a slightly bitter flavor, which can be a nice contrast to sweet or nutty flavors like honey or tahini. Kale can also be steamed, sautéed, boiled, baked, or stir-fried. For a simple side dish, kale can be quickly sautéed with garlic, salt, and pepper until wilted. Kale is a popular additive to soups and stews because its sturdy leaves hold up well to boiling, it adds a great deal of nutrition, and it adds a pop of color and texture. In Asia, kale is a common ingredient in vegetable stir-fries. Again, the hearty leaves stand up well to the high temperatures, ensuring that they stay intact and do not wilt away during the cooking process. In the United States, kale is often combined with other greens such as collard or turnip leaves and braised for hours with a ham hock until tender. Kale has also become a popular ingredient in fruit and vegetable smoothies because it offers a lot of fiber and nutrients. Baking kale until it forms a crisp "chip" has become a popular healthy potato chip alternative. Like other dark green leafy vegetables, kale is high in calcium, iron, beta-carotene, and vitamin C. Kale is part of the cruciferous group of vegetables (along with cabbage, cauliflower, broccoli, and others), which have been studied for their cancer-fighting properties. Kale is also a good source of dietary fiber. Kale can be purchased in a bunch with stems intact or pre-chopped and bagged with the stems removed. Either way, the leaves should have a deep, vibrant color and feel crisp and sturdy to the touch. Stay away from limp, dull, or yellowed tinged leaves. Kale should be rinsed well before consuming or cooking as the curly leaves can trap a lot of sand, dirt, bugs, or other debris. Washing should be done just prior to cooking or consuming, rather than before storage as wet leaves will wilt faster. Because kale is quite sturdy, it can stay fresh in the refrigerator up to four or five days. Keep the kale loosely wrapped and in the vegetable crisper to allow air flow but prevent excessive drying.